While Davey would not put an estimate on the overall cost to landlords for bringing 400,000 homes up to scratch, he said an impact assessment would be published and that there were a range of support mechanisms such as the green deal and ECO schemes that could alleviate upfront costs for landlords. If a tenant requests a more efficient home and a landlord fails to comply, the landlord could ultimately be forced to pay a penalty notice. Landlords will be able to let out F- and G-rated properties beyond 1 April 2018 for the remainder of existing rental contracts, but will not be able to renew a contract or let the property to someone else until it is brought up to an E rating. Separately, an analysis published this week by the Association for the Conservation of Energy concluded that the number of UK-wide energy efficiency measures installed this winter are on track to be 80% lower than those installed in the winter of 2011/12. 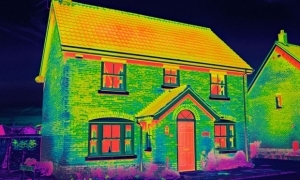 In 2013, the government scrapped previous energy efficiency support schemes and introduced the green deal, which MPs have condemned as a failure. In a letter published last weekend, the CEO of the Federation of Master Builders, the director of the charity Age UK, the vice-president of NUS and dozens of other organisations called on party leaders to make a commitment in their election manifestos to spend more on energy efficiency improvements. “High energy bills are causing suffering for millions of families across Britain, especially those on low incomes. Britain has some of the least energy-efficient homes in Europe,” they said.